Minerals you can see combined with a crisp refreshment you can taste. The 20 oz bottle contains a unique blend of pure water, fulvic and humic acids and trace minerals, for hydration anywhere. 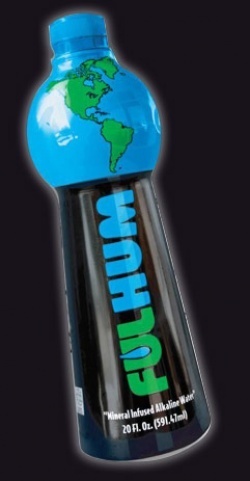 And as always the Fulhum promise: No Artificial colors, preservatives, sugars, or ingredients. Mined from a multi-million year old preserved deposit. FulHum’s fulvic humic product is extracted without the use of damaging chemicals, while those using riverbeds and lakes, can be contaminated by acid rain, polluted air, and chemical runoff. Provides trace minerals while helping you maintain proper hydration during exercise, work or play.